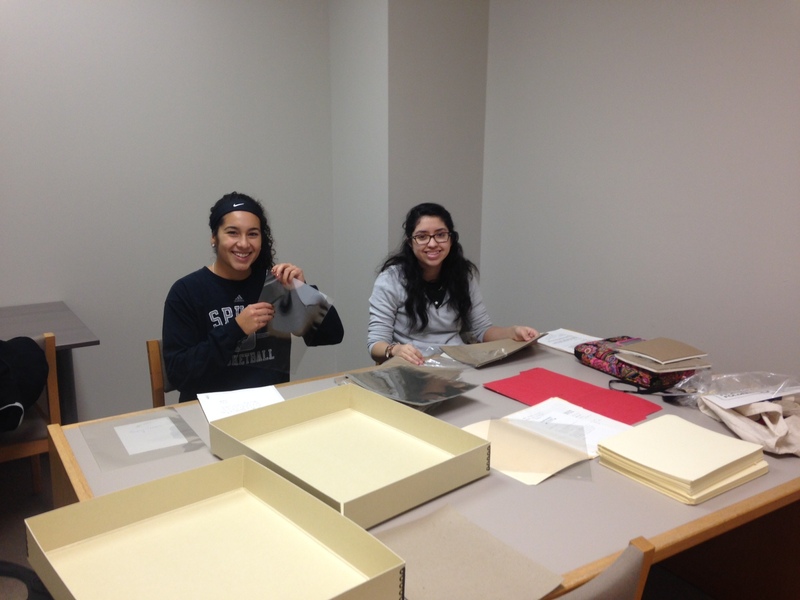 As part of their work for the Latina History Project, student interns are inventorying a collection of primary source materials pertaining to Central Texas Latina history. We’re also organizing the materials into protective mylar sleeves and acid-free folders for storage in acid-free boxes. 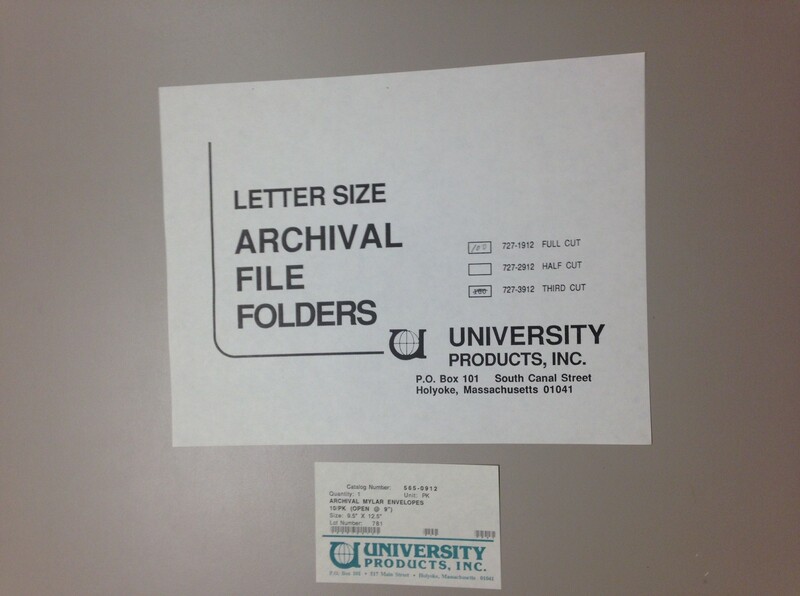 Official archival file folders! They’re much heavier and stiffer than regular file folders. In addition to preserving the materials, we’re identifying items for potential digitization, and spending time analyzing these items, as well. 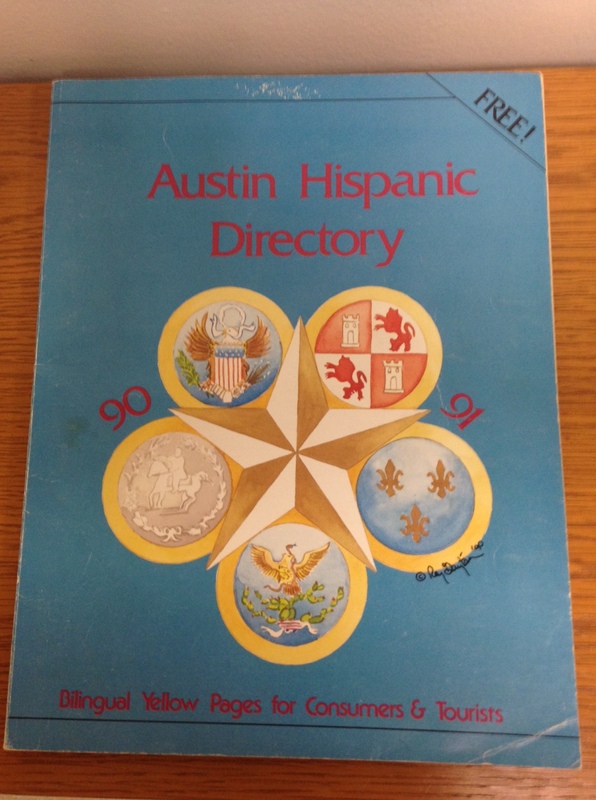 Today Nani and Tori analyzed the 1990-1991 Austin Hispanic Directory: Community Resources and Features Annual, subtitled Bilingual Yellow Pages for Consumers and Tourists. Using this Archival Artifact Analysis Worksheet, the students analyzed the directory inside and out. Nani and Tori made several compelling observations about the artifact. 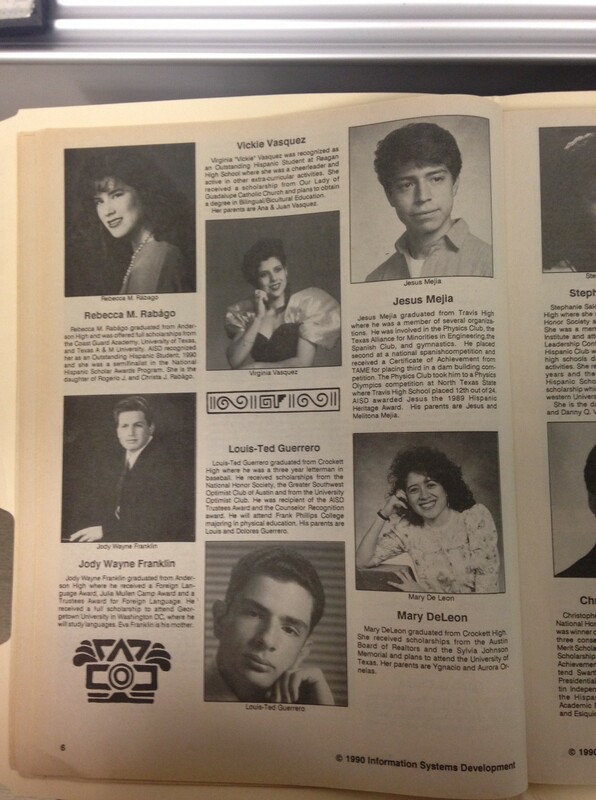 Noting an advertisement on the inside cover for bilingual phone referrals on everything from “tax preparation” to “party planning including quinceañeras” to “wrecker services,” Tori was struck by the ad’s opening line: “If you are seeking goods and services where Hispanics are welcomed… call us.” Tori perceived that there may have been a subtext to this invitation–perhaps Hispanics were not always welcomed at all Austin businesses. The students discussed that cover of the directory, which is an attractive bright blue, appeals to a wide Austin audience. In addition to being “FREE!”, the directory is bilingual and targets both “consumers and tourists.” Nani pointed out that the various crests on the cover refer to Mexico, Spain, and the U.S.; to her, the fact that the crests are arranged prominently around the Texas Lone Star suggests the cohesion of these nationalities within Texas. Tori and Nani agreed that this sense of multi-national cohesion and integration carries through the whole of the directory. 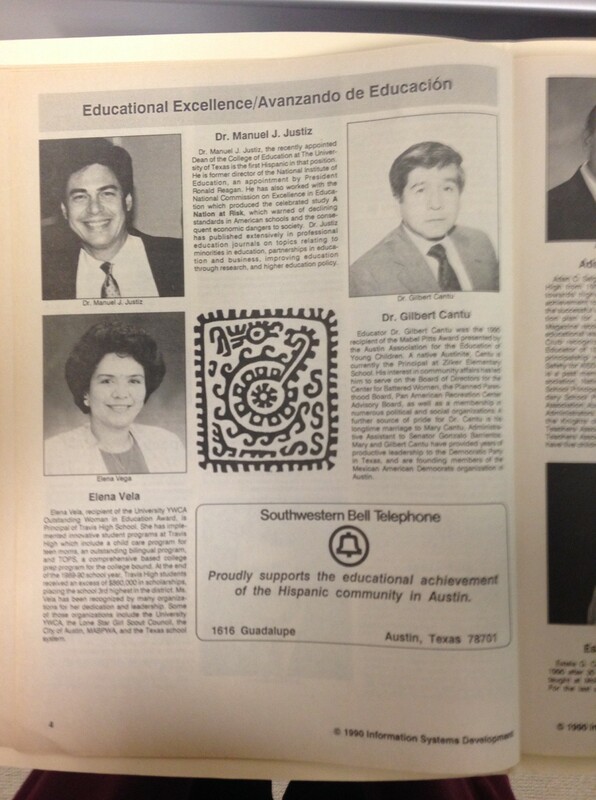 They discussed that as it features prominent members of the community involved in education, politics, banking, hospitality, and other professional milieus, the directory portrays the Austin Hispanic community of 1990-91 not as a marginalized population, but as a fully integrated, professionally accomplished, very central part of the Austin community at large.